Your employer may allow you to make after-tax 401(k) contributions. These are not tax deductible like your regular 401(k) contributions. But you can make after-tax deferrals beyond the annual 401(k) contribution limit. Plus, the earnings from these extra contributions grow tax-free. The strategy also opens the door for rollover opportunities that will provide you with even more tax breaks. However, making after-tax 401(k) contributions may not be the best decision for everyone. 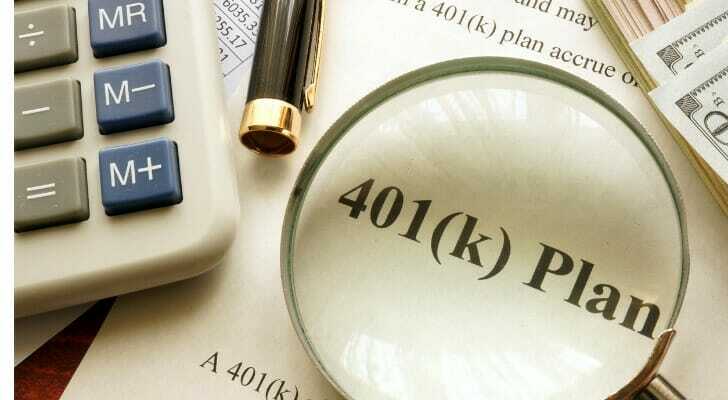 This article explains all you need to know about after-tax 401(k) contributions, so you can decide if it’s right for you. We can also help you find a financial advisor who can work with you to make the most out of your after-tax 401(k) contributions. How Do After-Tax 401(k) Contributions Work? After-tax 401(k) contributions are the kind that don’t earn you a tax deduction. These contributions are taken from your paycheck after it has been taxed. However, investment earnings on these contributions grow tax-free. Unfortunately, not many employers allow you to make after-tax 401(k) contributions. But if yours does, you have some perks to look forward to. For starters, you get to breach the annual 401(k) contribution limits by making after-tax deferrals. In 2019, employees can make up to $19,000 in pre-tax salary deferrals toward their 401(k) plans. This limit rises to $25,000 for those ages 50 and older. Keep in mind, however, that these limits apply to pre-tax employee contributions. The 2019 total contribution limit from all sources rises to $56,000 or $62,000 for participants ages 50 or older. The IRS made this rule because some companies provide contribution matches toward their employees’ 401(k) plans. Some also allow workers to make after-tax contributions. So after-tax 401(k) contributions really come in handy after you breach your employee deferral limit for the year. Consider the following scenario. First, you breach your pre-tax 401(k) contributions to get the biggest tax deduction you can get. Next, you aim to reach the $56,000 limit with your after-tax contributions. While you won’t get a tax deduction for these particular contributions, the earnings on these will still grow tax-free as long as your money is in the account. So if you built a solid 401(k) portfolio with diversified investments based on an appropriate asset allocation, you may earn major returns. Furthermore, after-tax contributions can be key components to another retirement planning strategy. The IRS allows you to rollover after-tax 401(k) contributions into a Roth IRA. And because the IRS already taxed you on these contributions, the conversion won’t trigger more taxes. Ordinary rollovers from a 401(k) into a Roth IRA may be considered a taxable event depending on how you do it. But you reach the real sweet spot when you make eligible withdrawals from your Roth IRA tax free. Remember, traditional 401(k)s are tax-deferred accounts. This means that the IRS taxes you when you start withdrawing your money in retirement. At that point, the money you take out is taxed as ordinary income. However, Roth IRAs are after-tax investment vehicles by definition. The IRS taxes contributions before they go into Roth IRAs, so they can’t do it again when you make eligible withdrawals. However, you need to be at least 59.5-years-old. And your account must have been opened for at least five years. Keep in mind these rules apply to your earnings. 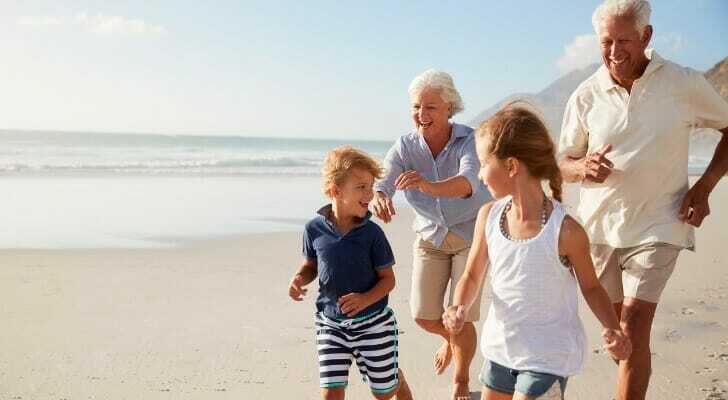 You actually have access to the contributions you make toward a Roth IRA at any time regardless of age. Now, consider this and assume you’ve yet to reach age 50. If you opened a Roth IRA without transferring after-tax contributions from a 401(k) plan, your maximum Roth IRA contribution is $6,000 in 2019. Remember, the pre-tax contribution limit for traditional 401(k) plans stands at $19,000. But the maximum that can be contributed toward your total tax-deferred retirement accounts is $56,000. So you can essentially transfer the difference or $37,000 toward your 401(k) plan in after-tax contributions. As a result, you can transfer this much to a Roth IRA, let it grow and withdrawal your earnings tax free in retirement. So to recap, attempt the following steps to make the most out of this process. In addition, a special provision of the tax code allows you to take the after-tax portion of your 401(k) as soon as you retire. So if you need access to this money, it’s yours tax free. But rolling it over into a Roth IRA gives you the extra boost of tax-free growth and withdrawals in the future. Despite these perks, making after-tax contributions toward a 401(k) plan may not be the best decision for everyone. What About a Roth 401(k)? If your employer offers a Roth 401(k), the elective deferrals you use to fund it are also a type of after-tax contributions. However, withdrawing assets from a Roth 401(k) is different from taking your after-tax contributions from a traditional 401(k). When you make qualified withdrawals from a Roth 401(k), you won’t face any taxes as long as you’re at least 59.5. However, the IRS will tax the earnings on your contributions to your traditional 401(k). In addition, you don’t have tax-free access to the contributions you make to a Roth 401(k) before you turn 59.5. This is not the case with after-tax contributions to a 401(k). The process of rolling over after-tax contributions from a 401(k) into a Roth IRA isn’t necessarily an easy one. For the most part, you can initiate this process only after you’ve left the employer that sponsors your 401(k) plan. At this point, most companies either give you access to your funds or they automatically roll over pre-tax assets and earnings into an IRA in your name. In either case, you will have to calculate the portion of the account made with after-tax contributions and roll it over into a Roth IRA. But if you can stomach a little bit of paperwork and calculations, you can be looking at serious savings. So in this situation, you can roll over after-tax contributions toward a Roth IRA. In addition, you can transfer the pre-tax portion of your 401(k) to a traditional IRA. In some cases, employers allow in-service transfers from your 401(k) plan to a Roth IRA. So check to see if your company does. Overall, you should make sure you have adequate savings sheltered outside retirement plans before you start taking advantage of after-tax 401(k) contributions. It makes sense to make these after you’ve maxed out your pre-tax 401(k) contributions. However, the IRS places restrictions on retirement plans. So saving sufficient funds in taxable vehicles like brokerage accounts ensures some degree of liquidity. Your employer may allow you to make after-tax contributions to your 401(k) plan. After-tax 401(k) contributions don’t secure you an immediate tax deduction as ordinary contributions do. But they allow you to contribute beyond the annual 401(k) contribution limit to your 401(k) account. Plus, the earnings grow tax-free. You can even roll over the after-tax portion of your 401(k) into a Roth IRA to benefit from tax-free withdrawals in retirement. But the process can be complicated and may not be the best move for everyone. You should check in with a financial advisor to make the most out of your 401(k) after-tax contributions. Not sure where to move your after-tax 401(k) contributions? 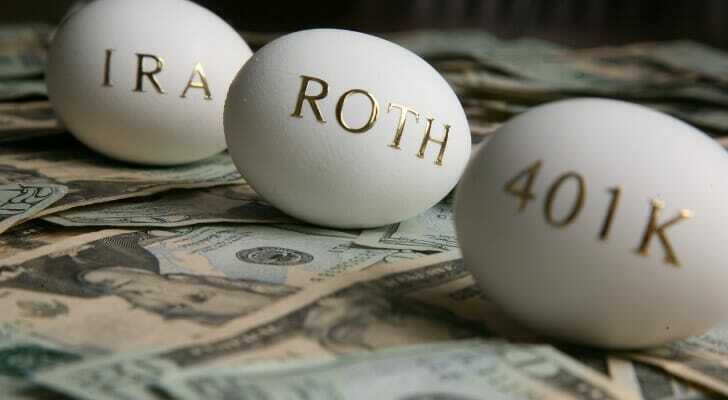 We published a study on the best Roth IRAs to help you decide. IRS treatment of the 401(k) plan get very complicated. To help, we compiled an in-depth report on the 401(k) tax rules you need to know. Making the most out of after-tax 401(k) contributions takes careful planning and strategic thinking. And if you’re not careful, you may run into some trouble with the IRS instead of major tax breaks. That’s why guidance from a qualified financial advisor is essential to making this task a success. If you want to work with one, you can use our find a financial advisor tool. Within minutes, it can link you with up to three financial advisors that we’ve vetted in your area. The tool also provides you with detailed profiles, so you can review their qualifications before deciding to work with one. The post Who Should Make After-Tax 401(k) Contributions? appeared first on SmartAsset Blog.